A low cost, hardback NIV Bible, ideal for buying in large quantities. Uses 7.25pt British text. With over 400 million Bibles in print, the New International Version is the world's most popular modern English Bible. It is renowned for its combination of reliability and readability. Fully revised and updated for the first time in 25 years, the NIV is ideal for personal reading, public teaching and group study. This edition uses British spelling, punctuation and grammar to allow the Bible to be read more naturally. Royalties from all sales of the NIV Bible help Biblica in their work of translating and distributing Bibles around the world. 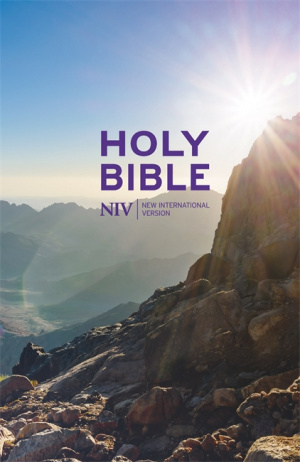 NIV Thinline Value Hardback Bible by New International Version was published by Hodder & Stoughton General Division in September 2015 and is our 423rd best seller. The ISBN for NIV Thinline Value Hardback Bible is 9781473618954. Be the first to review NIV Thinline Value Hardback Bible! Got a question? No problem! Just click here to ask us about NIV Thinline Value Hardback Bible.